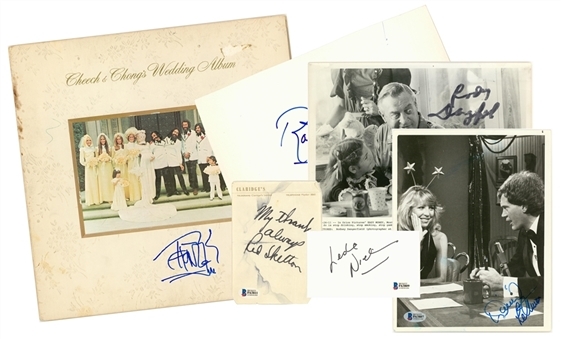 Presented here is a collection of six cuts, photographs, and record albums signed by comedians and actors. 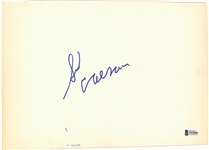 The first item, a 3 x 5-inch index card, has been signed in black marker by Leslie Nielsen. 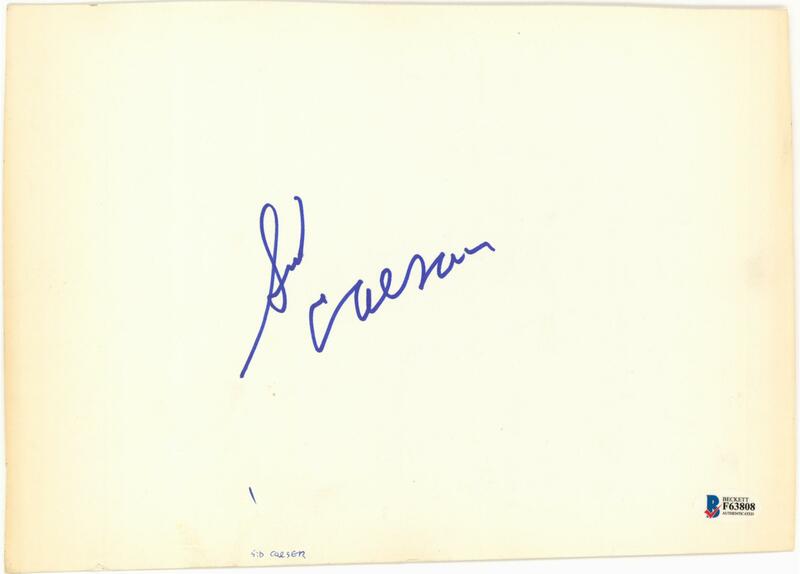 The second item, a semi-rigid piece of 11 x 8-inch material, has been signed on one side by Robert Fuller and on the reverse side by Sid Caesar. Both men have signed in blue marker. The next item, a 7 x 9 inch black and white photograph of David Letterman interviewing Teri Garr, has been signed by Letterman in blue marker. The next item, a black and white photograph from the film Easy Money, has been signed by Rodney Dangerfield in black marker. 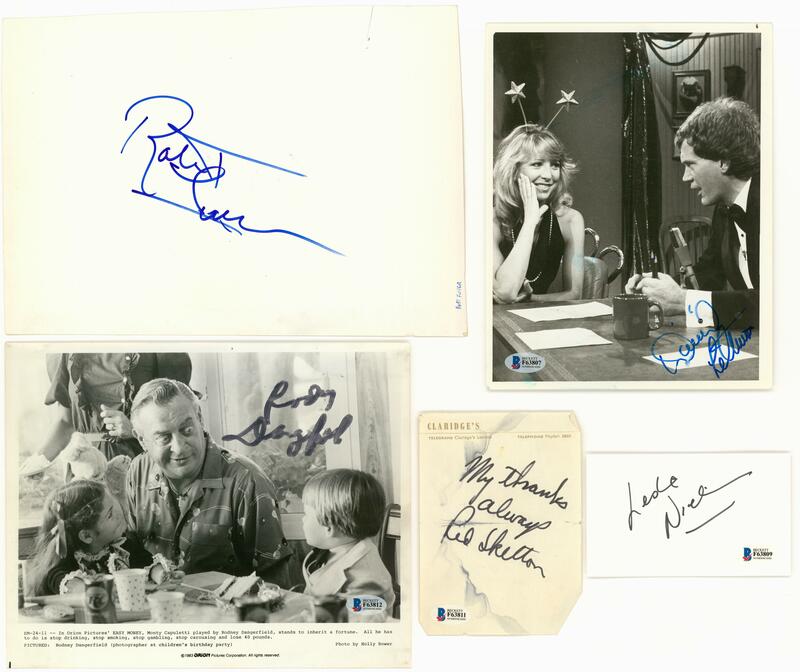 The fifth item is a 5.5 x 4-inch cut signed in black marker and inscribed “My Thanks Always” by Red Skelton. This cut displays some water damage, however Skelton’s signature still presents very well. 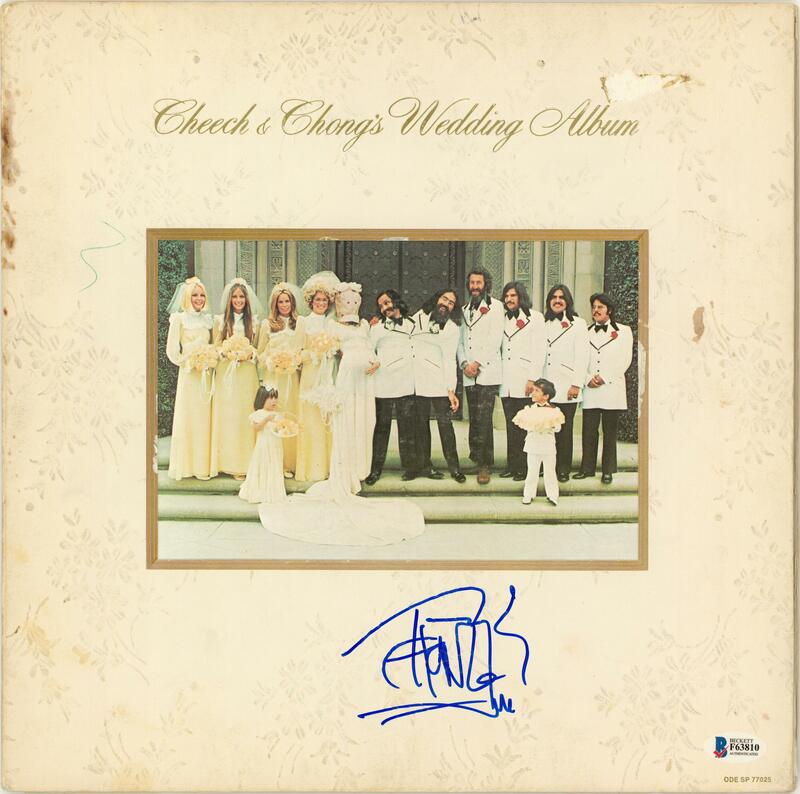 Finally, a copy of Cheech & Chong’s Wedding Album signed by Tommy Chong in blue marker is included. 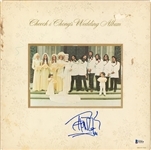 This record is included with this signed album cover. 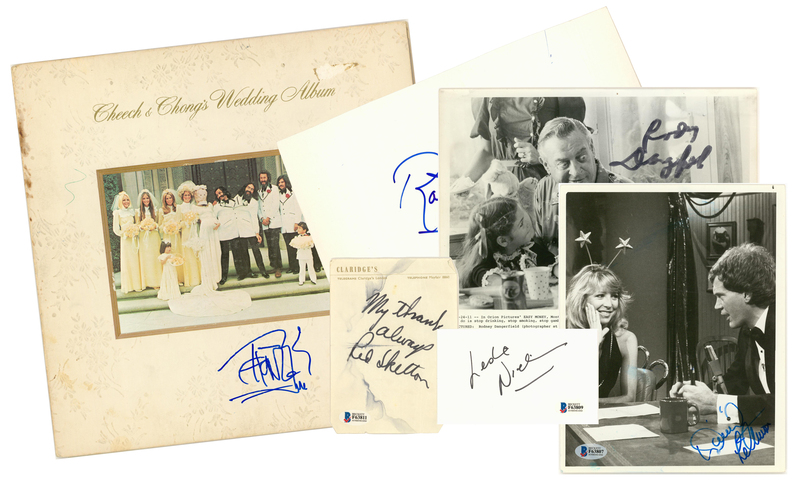 Each item in this lot comes with a COA from Steve Grad of Beckett Authentication (F63807 through F63812).